Early evenings in August bring cool breezes on the gulf coast when skies turn dramatic hues of blue and afternoon rain showers of the tropics begin. Shells are strewn across the beach but my eyes start to wander away from my seashell treasure hunt to the ever changing clouds that paint the perfect backdrop for my beach companions… the IBIS birds. I was mesmerized at their beautiful back and forth strut with their beaks constantly sorting through the sand in the surf searching for their meal of MOLE CRABS (SAND FLEAS). PS- I’m trying out Instagram to post more pics! The photo of the shells was one of my iPhone photos posted Saturday afternoon. 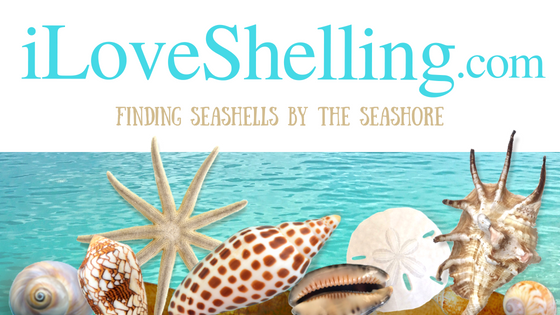 If you have an Instagram account, look me up at Instagram.com/iLoveShelling. Really Beautiful pictures Pam !!! Oh Pam such beautiful birds, I was once again looking at your shells from your Cuba visit. My goodness, there has to be some way to be able to get to that beach, all those shells you found were just magnificent, especially the cowrie and that black and white one and ………………..all of them, I need some! When I was on Sanibel last December I saw a pair where one ibis got ticked off with the other one because it was crowding him or her too much as they walked along the waterline — maybe that happens a lot (?) or perhaps it was even the same two birds! Ha! Once again…your posts take me on a much needed miniescape/vacation! Love your pics and look forward to ur posts! Thank you! Who me? I din’t do nuttin. So cute! Does it show my age that I “get” your little Oh mighty Ibis (Isis) joke? I really wanted to be her back in the 70’s LOL! Our zoo has an Ibis who began parenting the Spoon Bill chicks born in May. She preened them and guarded them as parents collected chow !! And what kind of camera are you using now? These are beautiful! That sunset photo is breathtaking. In Cayman, our shells are much smaller. What gorgeous photos you took! These pictures are just so beautiful! They would make a wonderful note card. Thank you for sharing in your website. Your photos are always uplifting. Would it be possible to get a copy of the ibis prints? Hi Jane, Thank you! Im still using my panasonic lumix point and shoot camera. Ive been through lots of the different models but they all take about the same pics. Its light and easy! I edit them in iPhoto. I had a Panasonic Lumix that I loved and it stopped working. The camera shop said it couldn’t be fixed, so I went out and bought a Fuji. I’m sorry I didn’t get another Lumix…..
Oh Trina! How nice of you! I’ve been working on the best way to get my images produced and I just finished doing this one of the ibis. Check this out! Can I have your opinion? Lisa, these cameras produce great photos for being such a travel friendly size…but they dont like the sand and salt air. Thats why I have to replace them often- expensive but whaddayagonnado. thats why Im trying to figure out how to turn some of these photos into prints or canvases to sell a little piece of Sanibel so I can afford to replace that camera! (since i cant stay away from sand or salty air- hahaha ). Even if that doesnt work, i think the panasonic is still worth it. I agree, Pam. And where do you think I use my camera most often, hmmmmm? I think I’m just going to have to go get another Lumix and keep this Fuji for a back-up!